As a longtime expert in shipping fresh, frozen and refrigerated products, AIT Worldwide Logistics adheres to strict procedures and processes to transport your products efficiently and securely. 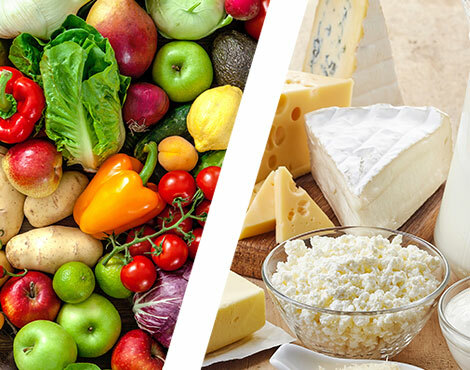 Our Food Logistics division manages a wide variety of complexities involved with food shipping like storage temperature, food safety and FDA regulations, while ensuring your goods are shipped quickly and safely to their destination. AIT brings in-depth cold chain expertise to all types of food transportation, from one-time sample shipments to regular, large-scale fulfillment operations. With more than two decades of experience providing agile cold chain services in addition to diverse food logistics solutions for your perishable commodities is our specialty. Call on AIT’s Food Logistics division to successfully store, pack, transport and deliver fresh, frozen and refrigerated products. Download the Cold Chain: Food Logistics list of services. Take advantage of AIT's food logistics solutions. AIT’s Food Logistics Team Helps Global Restaurant Chain Preserve Its Brand Integrity.